Offering some of the most spectacular coastal lookouts in Tasmania, Cape Raoul is an excellent 14km return day walk within the Tasman National Park. 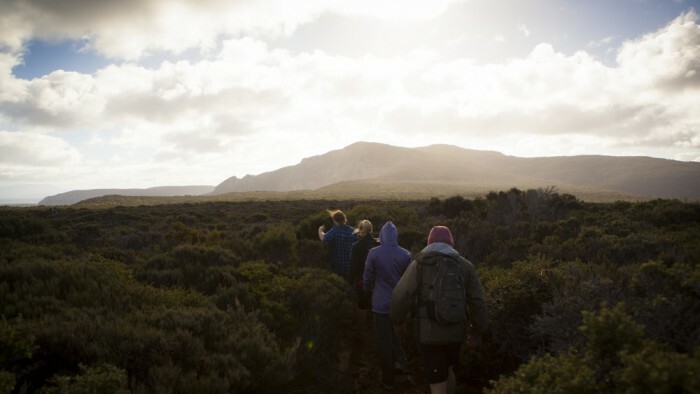 With only a few steep sections, the walk is a comfortable 5 hours allowing ample time to relax and enjoy the expansive views of the surrounding Tasman Peninsular and further south to Bruny Island. View Google Map Directions The start of the Cape Roaul walk is just under 2 hours, 115km away from Hobart, on the southern part of the Tasmanian Peninsula. From Hobart head over the Tasman Bridge and continue on the Arthurs Highway, turning right at the main intersection in Sorell (sign for Tasmanian Peninsula). Continue past Port Arthur until you reach a turn off to your left to Stormlea Road marked Highcroft 3 Stormlea 9 (if you reach Nubeena you have gone too far). Follow the Cape Raoul signs along Stormlea Road for 10km until the road stops, the start of the walk is sign posted here. The trail head for Cape Raoul starts at the end of Stormlea Road, next to the Raoul Bay Retreat where toilet facilities are available to walkers on a donation basis. From the car park the trail leads inland towards the heathland. 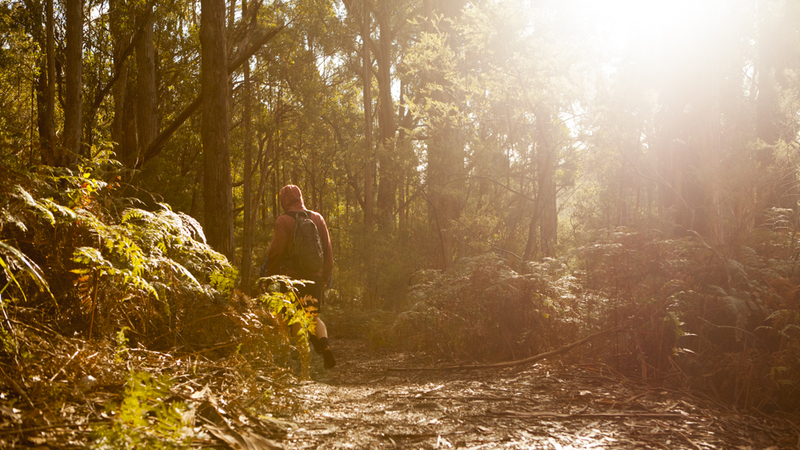 After a short gradual climb you will cross a fallen log bridge above a small gully. This is the only available water source along this trail. 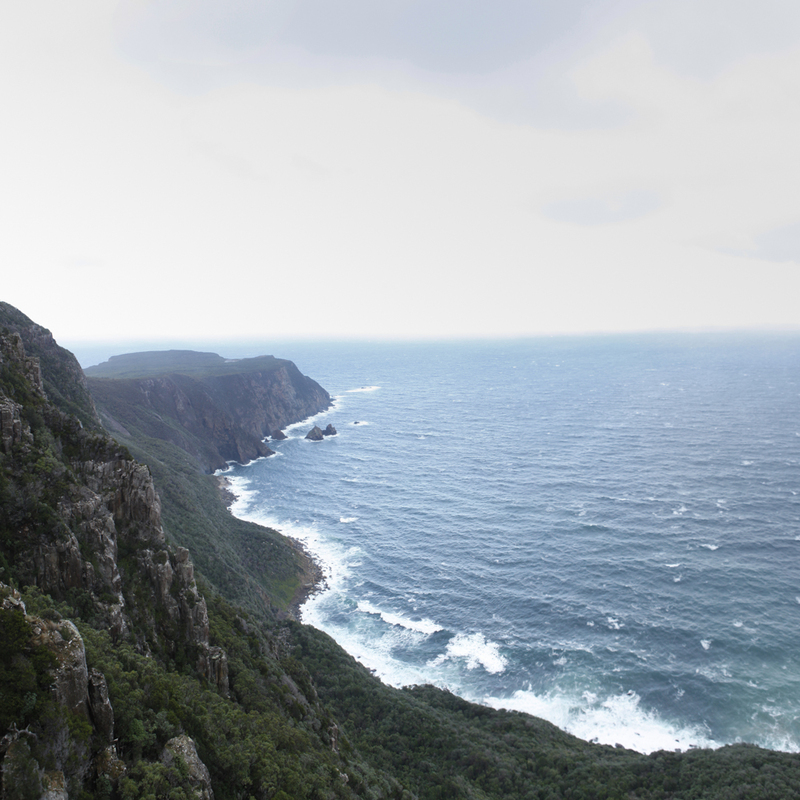 Shortly after you will reach the trail junction, left heading to Cape Raoul and right towards Shipstern Bluff. Following the left hand trail, the bush opens up surprising you with the first spectacular view of the incredible dolerite cliffs of the Tasman National Park. Cape Raoul is just beyond the lower plateau to the east. A short distance to your right is another open section of the cliff top allowing you a stunning view down to Shipstern Bluff, beyond to Bruny Island and Tasmania’s southern coast . From these lookouts you may also have your first encounter with the intense winds the capes are famous for (some of the strongest recorded winds in Australia). The trail heads east from here along the cliff tops, descending the steepest part of the trail first onto the Cape Raoul plateau. Once on the plateau the landscape changes to stunning coastal banksia scrub. After 200m the first glimpses of the northern coastline can be seen including Mt Brown, Arthurs Peak and Mt Fortescue beyond to the north. 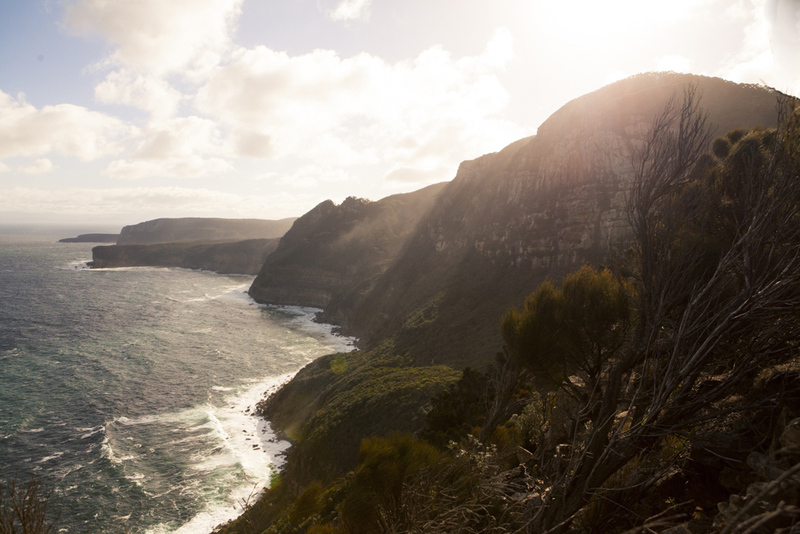 Situated further east, the impressive 300m high cliffs of Cape Pillar alongside Tasman Island. Continue north-east a little further finding a fork in the trail; on the right is Cape Raoul and to the left after a short trip is the side view showcasing the true scale of the cliffs. Additionally from here you are may be rewarded with a view of the seal colony nestled at the base of Cape Raoul. 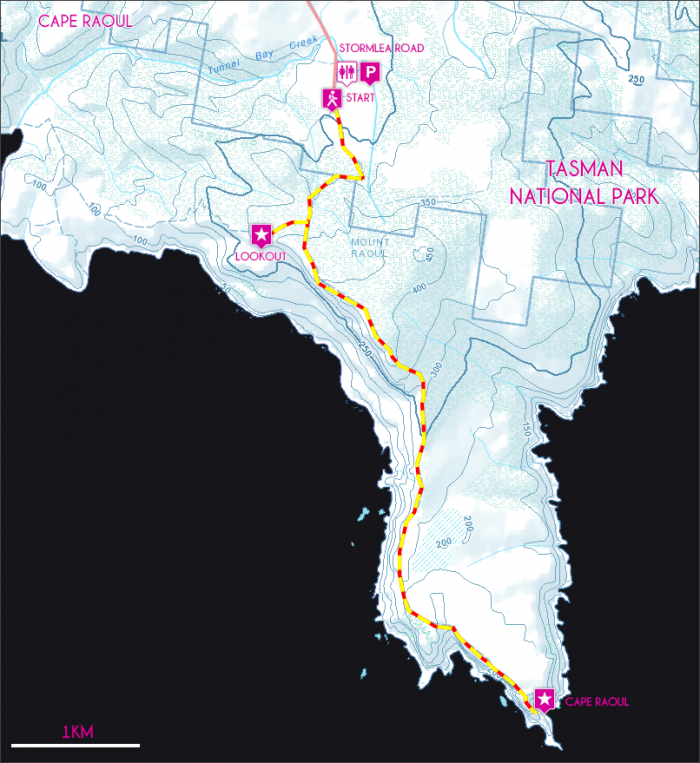 It is 7km in total to the end of Cape Raoul, returning the same way to 14km. 5 hours should easily suffice including plenty of time to sit in awe near the edge. The weather can be extremely hostile near the cliff edges and on the plateau, with very high winds and cold temperatures.